Established in January 1991, Lesperance Removals and Services (LRS) has built a solid reputation based on the appreciation and trust that funeral homes have bestowed upon us for 26 years. Their continuous requests for our services, along with testimonials and recommendations, speak for themselves. LRS understands that a licensed Transfer service must be available on a 24 hour – 365 day schedule, and is fully committed to that demand. Your calls will always be answered and your needs promptly addressed. Whether our services are required in Ontario, Michigan, Ohio, or surrounding areas, our fully equipped, staffed, and insured services are able to handle all of your funeral needs. A Funeral Home’s reputation extends beyond its own doors, to those who represent them. LRS is often the front line and the first contact with grieving families who’ve lost a loved one. Our rigorously trained, impeccably attired staff understands the importance of your representation, and will handle all calls with the compassion and professionalism that you expect and demand. We have a complete network of Funeral Homes and hospital contacts in Ontario and Michigan at our disposal to meet all of your funeral service needs. Conveniently located in the heart of Windsor, Ontario – just across the river from Detroit, Michigan - LRS is only a half-hour from Detroit City Airport, Detroit Metro, and only minutes away from our own Windsor Airport. We are available to transfer directly to your location from any of these airfields, hospitals, nursing homes, or residences in Ontario or Michigan. Our multiple services begin with a single call – a call that will initiate our Priority Response, as well as a Prompt, Courteous, and Professional approach on which you can always Rely. 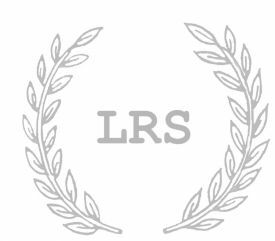 Let LRS be your funeral homes international connection between Michigan and Ontario.